It’s hard to believe that I was in Dubrovnik just over month ago. I can’t wrap my head around the fact that I’ve also boarded 7 flights since then. I’ve been on a bit of a travel binge, but I most likely won’t be a planning another trip out of the country until June. This will give me some time to focus on my job (which has nothing to do with travelling), and it will give me a chance to actually write on this blog. Dubrovnik was Destination 2 on our Balkans Road Trip, and we were there for just a couple of days at the start of March, 2016. Right off the bat, I have to say that I am a HUGE Game of Thrones fan. Knowing that parts of Dubrovnik were used for the set of King’s Landing, I chose to call Dubrovnik by it’s fictional name 50-80% of the time (mostly because Dubrovnik will no longer be King’s Landing, and I wanted the chance to say “I’m in King’s Landing” as much as possible before it becomes out of fashion to do so). Soon, it will be some planet in the upcoming Star Wars movie since that’s what they were preparing to film while we were there. Taking in “King’s Landing” while walking the city walls. 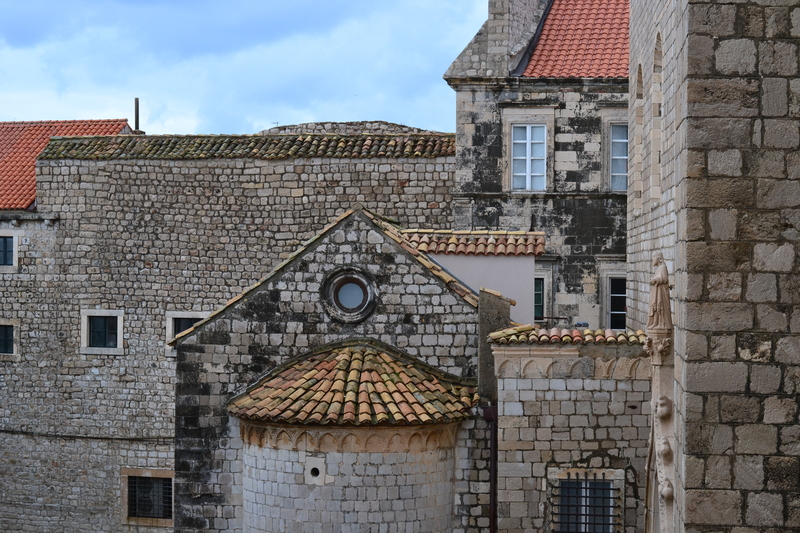 While walking through Old Dubrovnik, there really wasn’t much in the architecture to suggest that you weren’t actually in King’s Landing. Similar to Kotor, I felt like I could have entered a different era. Of course, you see evidence of the 21st century all around you, but for me, it never seemed to overwhelm the old architecture and stone streets. Entrance to the Church of St Blaise. Since we travelled during off-season, some attractions that we had initially planned on visiting weren’t open for the season yet (ex. the cable car). However, this gave us the opportunity to walk through the streets of Old Dubrovnik and immerse ourselves in our surroundings and delicious seafood without facing tourist traffic. The limestone-paved Stradun (main street of Old Dubrovnik) on a rainy day. Not many tourists at all. Sometimes, it did feel that we had parts of the city to ourselves. This only helped the Old Town feel more authentic rather than a tourist hotspot – which is what happens to Dubrovnik in the summertime. We had the chance to walk the old city walls at our own pace and take our time to admire every single incredible view (If you are looking for breathtaking views, you can find hundreds of them on the city hall walk). Admiring the architecture while walking the city walls. Another snap taken while walking the city walls. When you look up photos or glance at postcards of Dubrovnik, you often see a beautiful, orange-roofed, old city with a shining sun, bright blue skies, and an inviting turquoise sea. 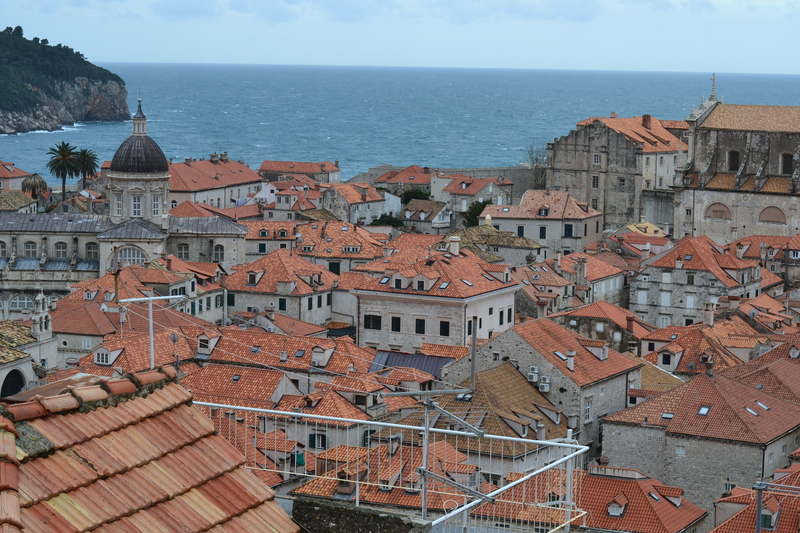 We experienced a more stormy, overcast Dubrovnik with raging seas. However, this Dubrovnik was just as outstanding as the one you can see in postcards. The late-winter (still warm) weather gave the city an ancient feeling, and the cloudy skies only brought out the intense colours of the sea and buildings which helped us take some pretty dramatic photographs. While I would like to see Dubrovnik in the summer one day, I would just as happily visit the city in the winter again, again, and again. 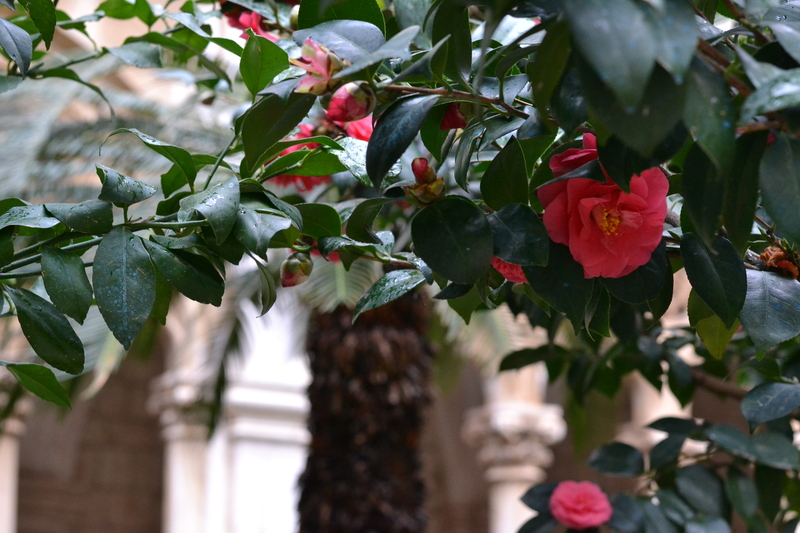 Inside the courtyard of the Dominican Monastery in Dubrovnik. Oh I love this genre of cities! Old and charming! Actually, if you are a fan of games of thrones, I would recommend you to travel to Sevilla, if you haven’t been there yet! I went there this March and my friend showed me around and told me that some scenes have been shot there as well. A beautiful city! Great photos! Dubrovnik was one of my stops last summer while on a cruise. This meant crowded streets and limited time to explore. I’d love to go back on a road trip and enjoy it the way you did. Thank your reading! It was really nice to have the city fairly empty, but I am considering going once in the summertime – for that beautiful sunshine. Thanks for the comment! I look forward to reading your post! Really enjoyed this post! I’m going to Dubrovnik next week so it’ll be interesting to see how our experiences match up or differ because of the time of year. Hopefully I’ll do a post on it! Thank you for your comment! I do hope that you enjoy Dubrovnik. I look forward to reading your post! Wow! 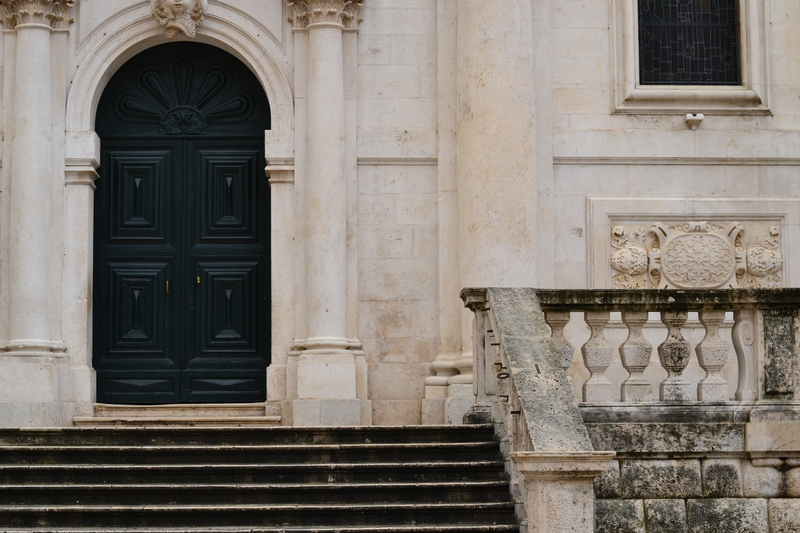 great pics.i recently visited Dubrovnik (day before actually) . I dint know why there were star wars posters there. Now I know why! It’s a beautiful city! It was really interesting to see the “futuristic” set being moulded into the existing, old architecture. Lovely. Surely my bucketlist, but I am really interested to jump off the cliffs to the sea in Dubrovnik. Kudos to all your post, very helpful. Thank you again! I would love to do the same…but only during the summer. The waves were massive in late winter.